Today on Armistice Day the words of the epic war poem ‘In Flanders Fields’ are close to mind, written by John Alexander McCrae , a Canadian with strong roots in New Cumnock. 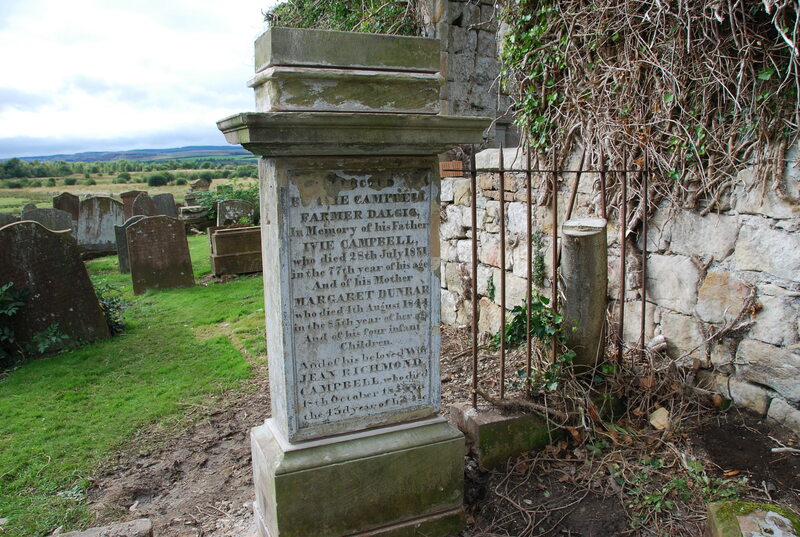 His great great grandfather Ivie Campbell lies in the Auld Kirkyard. The names of two other New Cumnockians, Alexander Sloan and Robert Paterson, both of whom emigrated to Canada and were lost in the Great War whilst serving in the Canadian Over-Seas Expeditionary Forces are also remembered on family headstones. 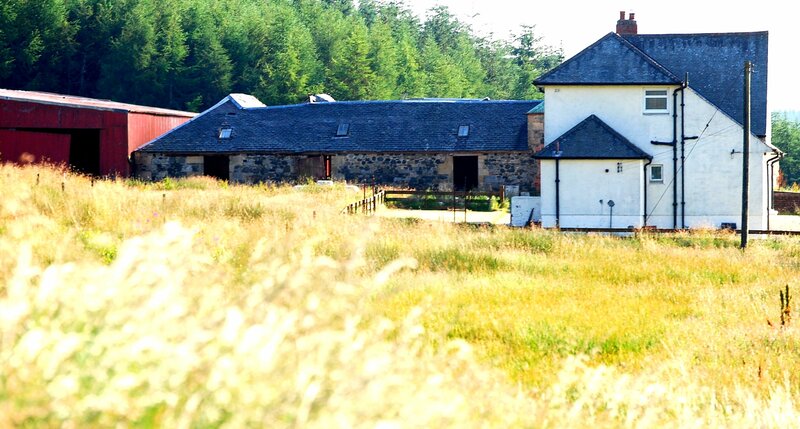 Ivie Campbell was born in 1754 at the farm of Garclaugh and later turned Dalgig into a prize-winning farm. One of his sons, William, farmed at Maneight where his daughter Jean Campbell was born in 1814 on Christmas Day. 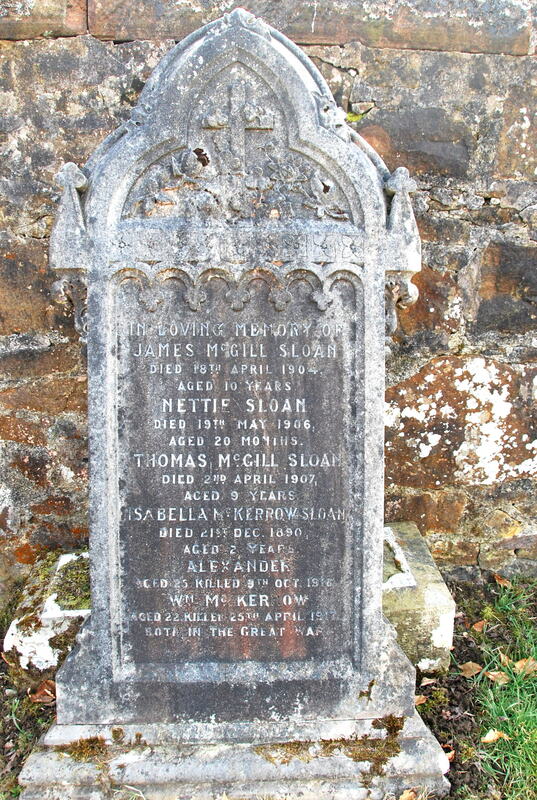 Jean married Thomas McCrae of Kells, Kirkcudbrightshire and the couple along with their young family emigrated to Canada. One of their grandsons John Alexander McCrae served as a surgeon in the Canadian artillery in the Great War. The death of an acquaintance inspired him to write the epic war poem ‘In Flanders Field’. 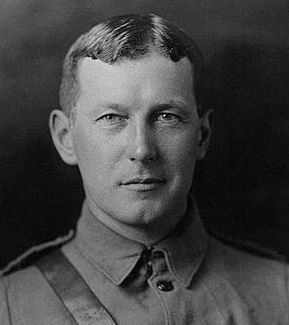 John McRae, died of pneumonia on 28th January 1918. In a remarkable coincidence some 70 years after the birth of Jean Campbell at Maneight, brothers Alexander,William and John Sloan were born in the same farmhouse. Alexander emigrated to Canada where he found work as a bank clerk . On 15 July 1915 at Edmonton, Alberta, he signed up to serve in the Canadian Over-Seas Expeditionary Forces. Some 15 months later he was killed in action on 9th October 1916 at the Battle of the Somme, aged 25 years. His younger brother William was killed in action at Macedonia on 25th April 1917 and elder brother John was awarded the Military Medal. 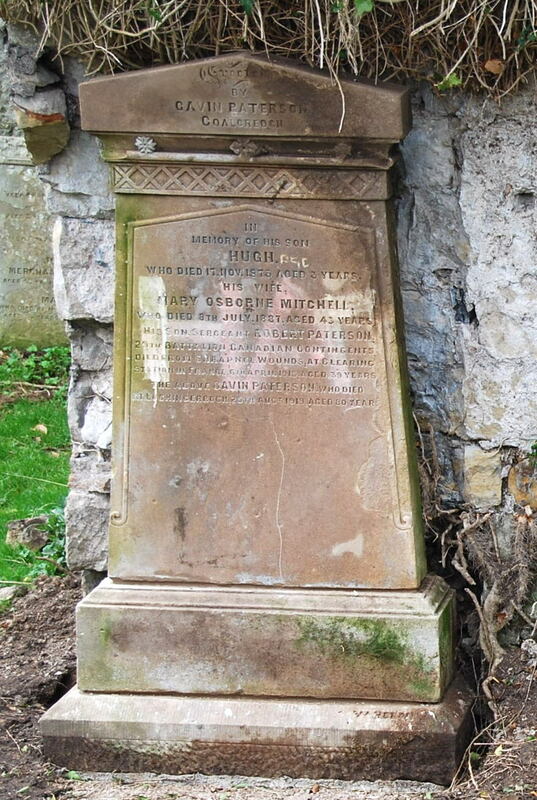 Alexander and William fell on foreign fields and both are remembered on the family headstone here in the Auld Kirkyard. Robert was born on 6th February 1879 at Coalcreoch farm, the son of Gavin Paterson and Mary Mitchell. He served in the Ayrshire Yeomanry before emigrating to Canada. On the 11th November 1914 (99 years ago today) at Vancouver, British Columbia he signed up to serve in the Canadian Over-Seas Expeditionary Forces. Robert died of shrapnel wounds in a casualty clearing station in France, on 6th April, 1918, aged 39 years. This entry was posted in Headstones, New Cumnock. Bookmark the permalink.